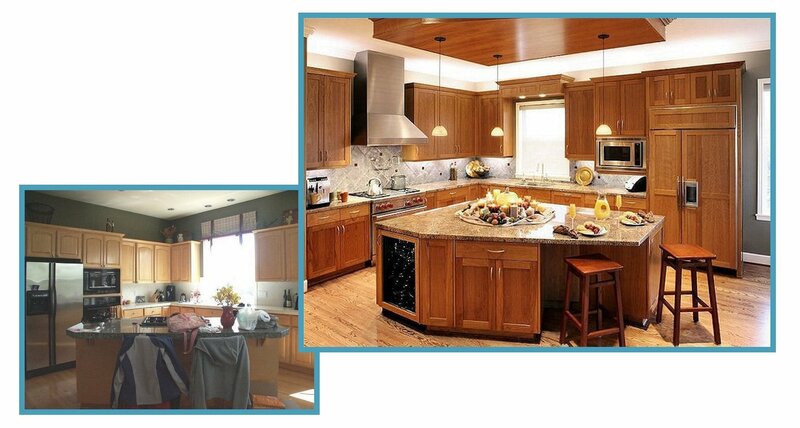 The contemporary Craftsman kitchen now blends with the home’s exterior. The original interior was a mashup of anything and everything. A large desk filled most of one wall, and a very small pantry closet was tucked into a corner by the doorway. 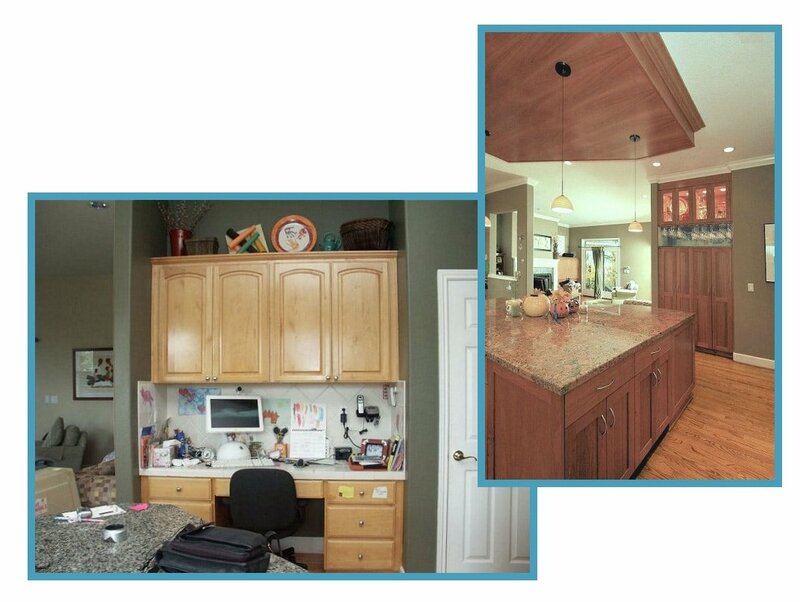 The homeowners wanted a craftsman-style kitchen with a “professional” range and hood, a pot filler, and a built-in refrigerator. They got what they asked for, plus built-in pantry cabinets with lit display on top, and an island with a custom soffit to add visual interest (and break up the 10-foot ceiling). Improved lighting fits the family’s lifestyle perfectly.